July 2018. Fundraising pub quiz. Share's sensory project. Wedding wishes. Plants for sale at Share Nurseries. Employability skills. Shop at Amazon and support Share. Share Annual Awards. Share recipes. 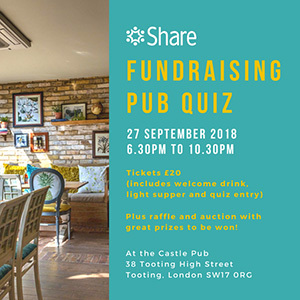 Share is delighted to invite you to our Fundraising Pub Quiz on 27th September 2018 from 6.30pm to 10.30pm at the Castle Pub in Tooting. So get some friends together for a team, think up a great name, and battle it out on the night! Tickets are £20 per person and include a welcome drink, light supper and quiz entry. We will be running a raffle with some truly amazing prizes on the night, and the chance to bid for a super auction lot, courtesy of our wonderful supporters. Prizes for our winning team and commiseration gifts for the losing team! Tickets available to purchase through Eventbrite. Please do secure tickets early as we have limited places. If you'd like to take a full table, it’s best to buy all of the tickets at the same time so we can guarantee a full table. To find out more or to discuss sponsorship opportunities, contact Caroline Cox via email ceepmr@hotmail.co.uk or telephone 07721 016 015. 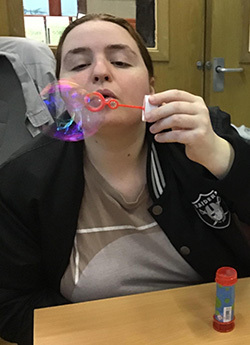 Share is currently running a 12-week sensory project called My SPACE, which aims to support our autistic students to better understand their senses and hence manage their sensory environment to improve their general wellbeing. This ambitious project, which is funded by Lifelong Learning, is providing exciting and, often, surprising insights into our students' characters, helping their personalities to shine and smile. For more information about this project, contact Share's Head of Training, Robert Boyce, via email robertb@sharecommunity.org.uk or telephone 020 7801 9815. This month saw the wedding of long-time supporter of Share Ana Jablonska to her partner Paul. Ana's father Peter was general manager at Share many years go so we were delighted to send our very best wishes to the lovely couple with a little something from Share. Share Nurseries provided some planters for the big day, while our creative writing students got busy writing some vows for the wedding, which appeared on packets of seeds given to guests as wedding favours. Congratulations to you both! Wishing you much happiness from everyone at Share. 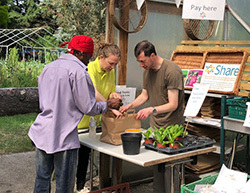 Huge thanks to the Wimbledon Foundation and the Head Gardener at the All England Lawn Tennis Club for donating a wide selection of plants to Share's social enterprise Share Nurseries following this year's Wimbledon Championships. We've just taken delivery of our plants, some of which will be planted in the Share Garden and some of which will be used in our horticulture training. But some of them are available for sale to raise funds for Share. 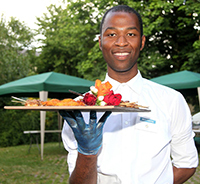 So if you'd like a little piece of this year's Wimbledon Championships, get in touch! There are lots of plants to choose from including gardenias (£3 per plant), red (£10 per plant) and white (£15 per plant) peace lilies (Spathiphyllum). Plus Share's usual selection of summer bedding, vegetable and herb plants still going strong. Share Nurseries is open Monday to Friday from 9am to 3pm. For more information, contact Share's Horticulture Training Manager, Sarah Bailes, via email sarahb@sharecommunity.org.uk or telephone 07837 180 774. 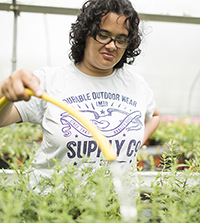 Share students initially gain employability skills by working in our social enterprises – Share Nurseries and Share Catering – which provide real-life practical work experience in a safe and supported environment. Our Job Coaches then work with our students to hone those skills with a view to helping our students to take the next step – working or volunteering in the local community. We’d love to hear from anyone who may have work placement or volunteering opportunities, particularly in retail, administration, warehouse and care work. Simple changes – reasonable adjustments to give them their technical term – can help our students reach their potential and take their rightful place as integral members of the workforce and society in general. To find out more about our employability work and how you can help, contact our Job Coaches, Claire Smith, via email claires@sharecommunity.org.uk or Jaime Johnson, via email jaimej@sharecommunity.org.uk or telephone 020 7924 2949. 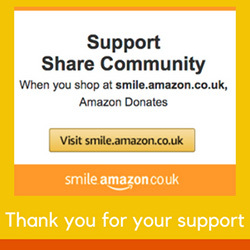 Share is now a member of Amazon Smile, which supports charitable organisations such as Share to fundraise as customers shop. AmazonSmile is the same as Amazon, providing the same products, same prices and same service. So if you shop at Amazon, please use this AmazonSmile link to choose Share Community as your chosen charity for support, and help us to do even more for our students. For every eligible purchase made using the link above, Amazon will give 0.5% of the net purchase price (excluding VAT and other shipping fees) to Share. We are already thinking ahead! 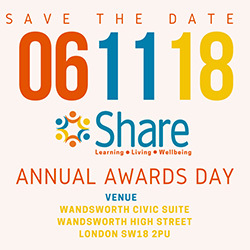 Share's Annual Awards Ceremony and Lunch will take place on Tuesday 6th November 2018, from 11am to 3pm. Join us to celebrate Share's year of 2018 and enjoy a fun day with friends and supporters. Book your place now via Share's website. To find out more, contact Kavita Bowry via email marcomms@sharecommunity.org.uk or telephone 020 7801 9821. 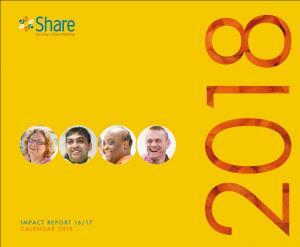 Have you tried any of the recipes featured in Share's Impact Report for 2016/17?. All of the recipes in the Impact Report/Calendar were developed as part of Share's independent living skills programme in association with our healthy living project, Live Well, Feel Great!, to help our students to learn everyday skills such as cooking a simple, nutritious meal for themselves.